There is a reason why I hate salons. Not all salons, just the badly managed ones. If this salon “recently” closed why couldn’t someone call me and let me know? If I didn’t have that information and hadn’t decided to loc my hair, I would have carted myself to their locked, empty Scarborough salon and found myself in a very unpleasant mood when there was no one around to do my hair. Especially when I know I can do it myself. I’ve seen this mess happen too many times. 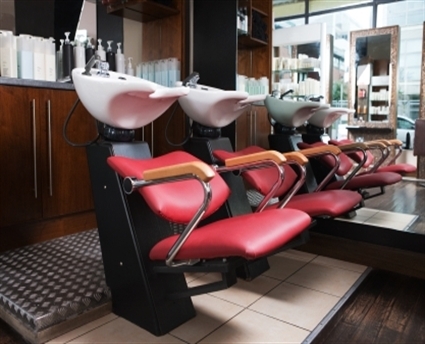 The salon closes or your stylist decides to leave and no one says anything – until you show up to a sign on the door or a shocked looking receptionist/owner who doesn’t know what to do with you. This is one of the reasons I like doing my own hair. As time consuming as it is, I’m in control of the situation. Salons, if you do close for unforeseen reasons and can’t tell your clients in advance, the least you can do is call and let us know so we can make alternate arrangements. Previous Post Loc’ing it up! So true. Love your posts! It’s all about communication. So glad your experience allowed you to share this with us. 🙂 I’ll be in TO in June for a few henna events 🙂 Maybe we’ll get a chance to see you there at one of them. Thanks, but it wasn’t that appointment that was canceled. It was the salon that had straightened my hair. The salon that’s loc’ing it is my tried and true. Wow, how unprofessional. So what if you had showed up for the appointment? Ugh. Another thing I’d like to add is overbooking. How in the world do you have three people showing up at the same time? There’s no way you can perform at your best and it’s inconsiderate to your client. That annoys me to no end. Or changing the price on me after I’ve confirmed it with you. That cannot work. I haven’t been to salon in so long I forgot how bad it could be. For me I stopped going because no matter what process I went in for, it was always at least 4 hours. This practice of starting my hair then walking away to deal with someone else so that I am trapped at the salon until you find time to remember that you were doing my hair does not work for me. Isn’t that annoying? I love the pampering part – someone else washing my hair, massaging my scalp – but the waiting can be brutal. Especially when you know that if you did it yourself, you would have been done HOURS ago.